From Marcus Collection by Sferra. 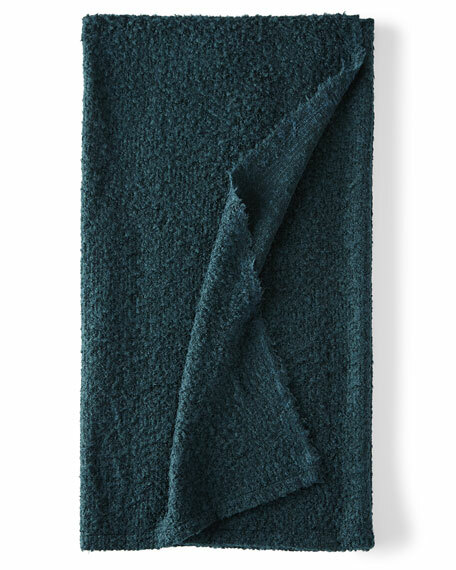 Luxuriously oversized blanket is made of woven-textured, preshrunk cotton. 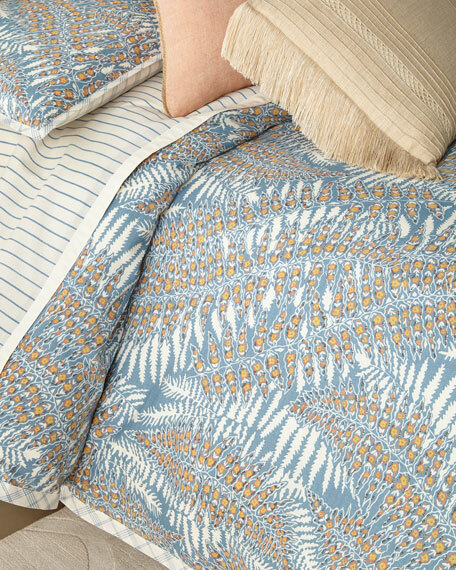 Comforter set in vintage-inspired botanical print with a modern twist. 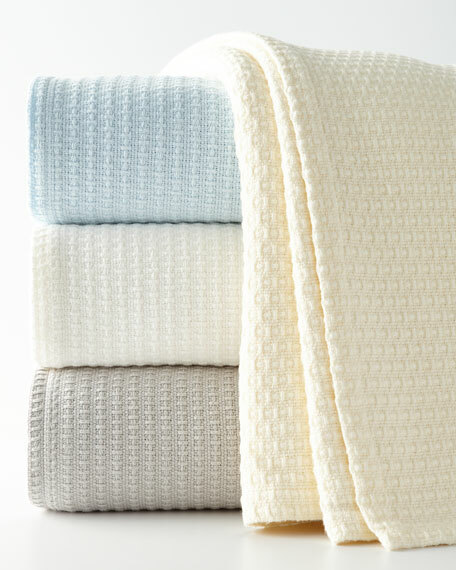 .Set includes: one comforter (108" x 96") and two shams (20" x 36"). 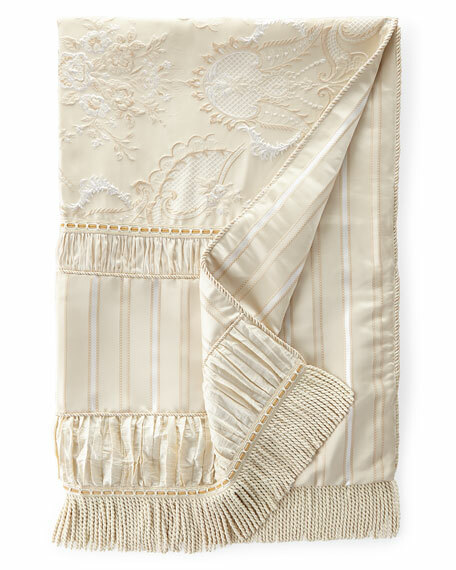 Shell: 120-thread count cotton slub. Fill: polyester. Machine wash.Imported.